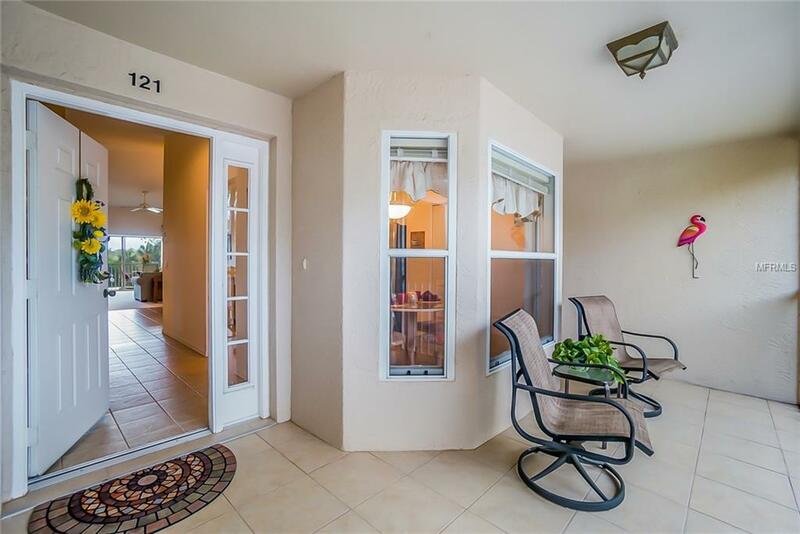 I proudly present this cheerful end-unit "ABBEY Veranda boasting many upgrades at a spectacular price! Let this SELLERS' SACRIFICE be YOUR GAIN! Apart from dramatic cathedral ceilings and a wonderful, generous flow, this condo features new SS kitchen appliances, contemporary quartz countertops, tiled front and back lanais, a wet bar, pocket doors to the office/den, tasteful furniture and decoration and last not least - serene and entertaining golf & lake views. 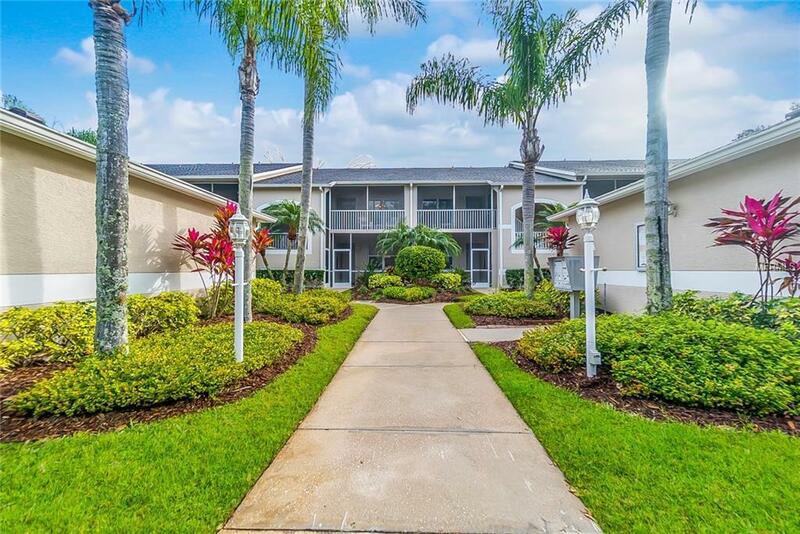 Heritage Oaks is a gated and "bundled" community that simply has it all and is unparalleled in the whole Sarasota area: Less than 25 minutes from the Country's No. 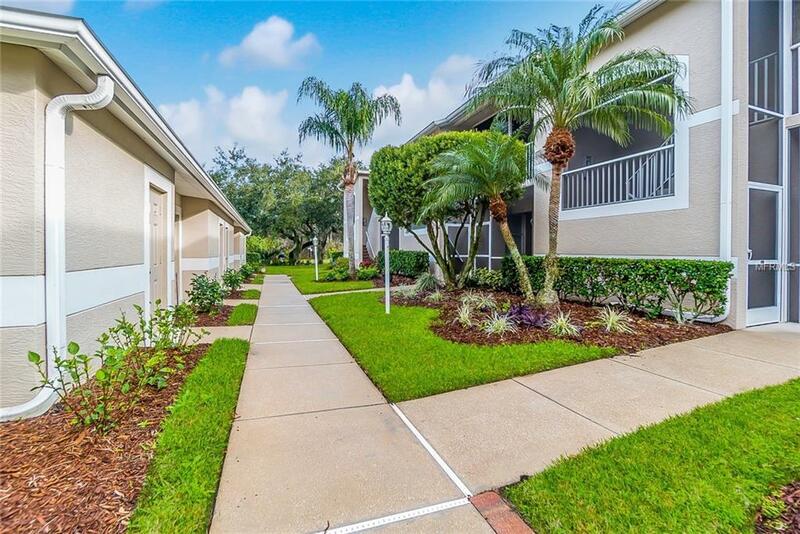 1 beach on Siesta Key, this friendly and welcoming community offers an 18 hole championship golf course that was just re-designed and re-opened in November 2017, 5 heated swimming pools, 4 Har-Tru tennis courts with a well established and active Tennis Club, a fitness center with great equipment and daily fitness classes, one of Sarasota's most beautiful clubhouses with a formal restaurant and a more casual Lounge & Bar and a social calendar filled with numerous social events to delight established and brand-new members alike. The 2015-erected and award winning "pro shop" carries the latest active wear fashion and the staff will always greet you with a smile. You are going to make new friends here in no time. This is a lifestyle well chosen and absolutely unique in Sarasota. 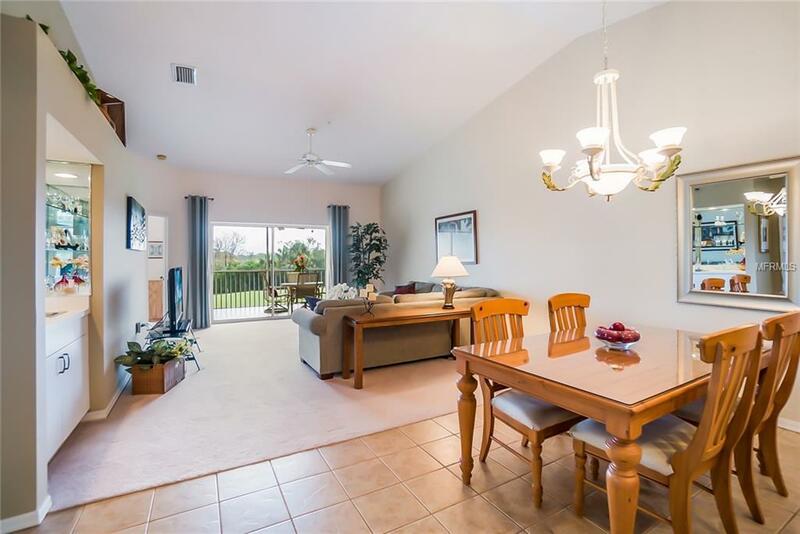 This TURNKEY-furnished home is ready for your enjoyment, so grab your toothbrush and move right in!